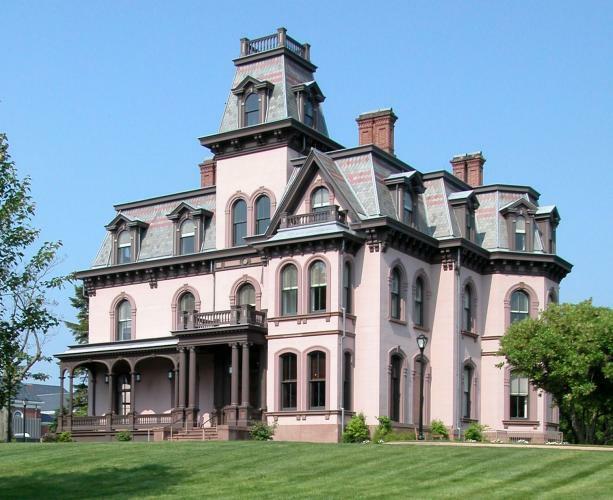 Former Day Prospect Hill House, located in the Prospect Street Historic District of New Haven. As one of the oldest secondary schools in the nation, Hopkins School has a history that is varied, exciting, and wholly unique. Though it may seem as though Hopkins has been educating young men and women since before the American Revolution, it was only 45 years ago when Hopkins Grammar School (HGS), an all-male institution, merged with Day Prospect Hill School (DPH), a premier female school, in 1972. This major milestone in Hopkins history is being honored by a Women’s School Celebration on Reunion, June 10. This event is certain to be an important and exciting feature of Reunion Weekend this June. Hopkins has gone through many changes over the years, and perhaps the biggest change of all was the decision to accept women. This celebration will honor the contributions of the women’s schools, who helped shape Hopkins into the nurturing, educational environment it is today. Day Prospect Hill was the product of a merger between The Day School and Prospect Hill School, which occurred in 1960. DPH was described by Hopkins English teacher and DPH alumna Donna Fasano as a representation of a “golden age” in the history of women’s education. Another DPH alumna, Regina Plunkett, writing in her student publication, The Razor, in 1973, said that DPH “had a rather contrary manner in that she was deadly serious in her work, yet remained liberal and informal.” DPH was characterized by close relationships between students and teachers as well as serious academic endeavors, which are both features of the Hopkins School experience today. Day Prospect Hill and Hopkins Grammar School often shared Christmas Concerts and annual mixers as a way for the young men and women to socialize. By 1967, the two schools were sharing drama productions as well. In 1968, a DPH senior Missy Johnson ’68 took German IV at HGS, which was the first of many steps towards true coeducation. Coordinate education, which allowed coed socializing by encouraging the women’s school to move closer to its male counterpart, was entertained by the two schools during the late 1960s. Though alumnae, students and parents supported the push towards coordinate education, it was logistically very difficult and costly for DPH to sell its facilities in downtown New Haven and move closer to The Hill. Unexpectedly, the HGS trustees announced that Hopkins would accept girls in the fall of 1972, whether a coordinate merger with DPH was negotiated or not. The trustees also announced they would entertain a coeducational merger with DPH so long as it was on their terms. After failed deals with Yale University and the city of New Haven, it was necessary for DPH to seriously consider the proposed coeducational merger because HGS and DPH shared many of the same families and could theoretically lose girls to the newly coed HGS. As such, in 1972 a merger between the two schools formed the coeducational institution known as the Hopkins Grammar Day Prospect Hill School. While Hopkins School has been around for 357 years, the institution has changed dramatically over time, as evidenced by this historic merger.